The Camperdown Program is a stuttering treatment for adults and adolescents developed by the Australian Stuttering Research Centre. At the start of treatment you will be instructed how to minimise stuttering through use of a fluency technique. Initially you will practice only with your clinician and a supportive friend or family member and your speech will sound unnatural. With practice, you will learn to achieve naturalness and fluency together and from this point you will practise with others in everyday conversations. When your speech outside the clinic becomes highly fluent and natural for several consecutive weeks, you will be helped to maintain that level of fluency. The effort that goes into a speech therapy program would be of little benefit if change was not maintained over time. 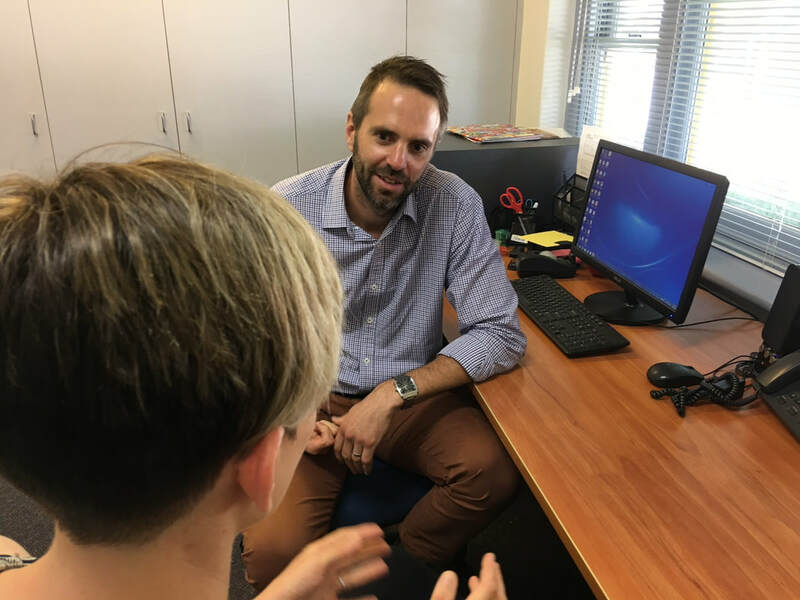 Throughout the Camperdown Program there is a focus on self-evaluation and self monitoring of stuttering and technique levels. You will be taught to manage changes in your fluency to avoid relapse. Over time the frequency of clinic visits or telepractice consultations reduces. Consultations stop when very low levels of stuttering or are maintained over long periods of time. Practising with others who have learnt the same control technique is both popular and useful. Our centre runs group therapy sessions once each month in the evenings for adolescents and adults. These sessions are led by a Speech Pathologist but the focus is on creating opportunity for real-life practice. Our practice groups allow clients to rehearse oral presentations, debate topics, role-play situations relevant to their lives, and speak in less clinical situations. Obtaining the ideas, insights, and suggestions of others who have had similar challenges is a large part of the group benefit. To enquire about our group sessions scheduled for 2019, please email reception.